Sweden is expected to vote the Social Democrats back into power in general elections Sunday,according to the latest polls, while the anti-immigration nationalist right is likely to make historic gains. Stefan Löfven, the stocky leader of the Social Democrats, looks set to become the next prime minister for the nearly 10 million Swedes, probably in a minority coalition with the support of the Greens and the former communist Left Party. But on the eve of the election, the 57-year-old former welder admitted that governing the country after the election could be complicated by likely major gains for the anti-immigration Sweden Democrats. “We indeed have a chance,” he said in an interview with Swedish news agency TT Saturday, commenting on the possibility of a red green victory. Polling booths will open at 8am and close 12 hours later, determining the allocation of 349 seats in the Nordic country’s legislature, the Riksdag. The Social Democrats stand to secure 30.3 percent of the vote, while the centre-right Moderates are likely to gain 22.0 percent, according to a survey prepared by polling company Novus and released Saturday by Swedish public broadcaster SR. The same survey showed the Sweden Democrats with 9.6 percent of the vote, up from 5.7 percent in the last election in 2010. This would make the anti-immigrant party the third-largest in the parliament of a nation that has traditionally taken pride in its welcoming attitude towards foreigners. “The Sweden Democrats is the only political party that wants to stop immigration,” said Anders Sannerstedt, a political scientist at Lund University who has studied the party closely. Sweden elections: Who’s who in Swedish politics? An electoral gain for the Sweden Democrats and their bespectacled, 35-year-old leader Jimmie Åkesson would confirm a Europe-wide trend of soaring popularity for populist right-wing parties. Löfven, a former union leader with almost no experience in national politics, has campaigned on a promise to narrow income gaps, invest in infrastructure and improve an ailing educational system. 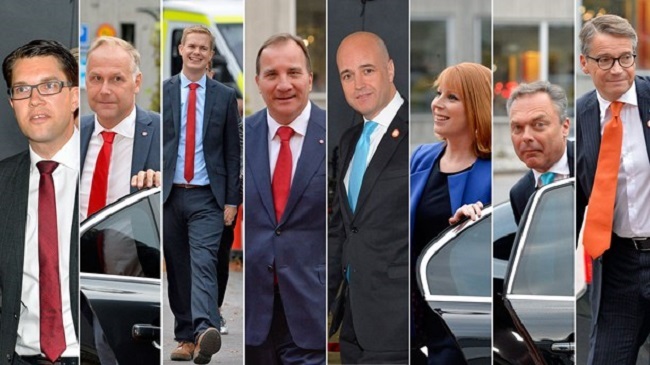 If the polls are right and he ends up with enough votes to become prime minister, it will mean an end to eight years of government by a four-party conservative-liberal coalition headed by Fredrik Reinfeldt, the 49-year-old leader of the Moderates. 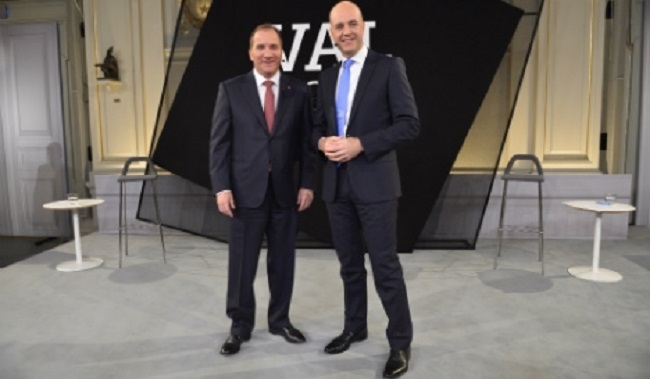 Reinfeldt, tall and bald, has been widely credited with steering Sweden through the global financial crisis at the end of the last decade, consolidating its position as arguably the healthiest economy in Europe. If he is forced out, it will be mainly due to a yearning among the Swedes to see new faces at the top, according to analysts. “The government is going to change partly because it’s the normal functioning of our democracy that after eight years people get fed up,” said Lars Magnusson, a professor of political economy at Uppsala University. With no clear preferences in the Swedish electorate, some observers predicted an ambiguous outcome of the election and days if not weeks of protracted political negotiations to find a workable ruling coalition. “I think we are going to have a very unclear situation after the election,” said Mikael Sundström, a political scientist at Lund University. Parliamentary budgetary rules would allow a minority government to push through its budget however as the opposition would be unlikely to present a combined proposal with the Sweden Democrats. Despite this fact the situation would force the government to rely on the support of either the Sweden Democrats or possibly the Feminist Initiative who could squeeze past the four percent threshold to claims seats.